Big breaks come in unusual ways. Sometimes they come because of big breaks—as in legs. Rewind to Memorial Day, and the Indianapolis 500. On the last lap, there was a horrific crash involving Ryan Hunter-Reay and Mike Conway, the latter getting the short end of the stick. Conway's car vaulted into the air, careened into the catch fence and landed upside down in a million pieces. If you weren't watching the race, you probably saw it on the news. Conway survived, but suffered a broken leg. Until his rehabilitation is complete, his car owner, Dennis Reinbold, has tapped 22-year-old Sausalito native J. R. Hildebrand to substitute for him. For series rookie Hildebrand, the window of opportunity is small, but he will make the most of it. He'll take the wheel of the No. 24 Dreyer & Reinbold TranSystem car in only his second IndyCar Series race at the Grand Prix of Sonoma at Infineon Raceway Sunday. It's the opportunity Hildebrand has been working toward, and with his talent and local knowledge, he's sure to be a contender. A graduate of Marin County's Redwood High School, Hildebrand has worked his way up through all of the junior series of racing. In 2009, he won the Firestone Indy Lights season championship, but breaking into the big leagues of IndyCar racing has proven difficult. He looks forward to his big chance in front of the home crowd. "It's a huge opportunity," Hildebrand beams. "When you do a one-off race like this, people only remember you for that race. I need to do everything I can to do a great job and get a good result." Hildebrand is optimistic and excited about racing at his home track. "I grew up at Infineon, watching my dad race vintage cars," he says. "I won my first race here, and I won the Indy Lights championship here. I know the track pretty well, but I'll be racing against guys like Dario Franchitti and Tony Kanaan, who have raced IndyCars here a lot and have won here." Last weekend, Hildebrand made his first IndyCar start at the Mid-Ohio Sports Car Course. He qualified 18th, but even after committing several rookie mistakes, he was still able to improve and finish 16th. Hildebrand was disappointed, but acknowledges that the learning curve is steep. "I definitely made life difficult for myself at the Mid-Ohio race, but I can take a lot of things I learned with me to Sonoma." Hildebrand is also quite critical of his performance in his first IndyCar race. "I made some uncharacteristic mistakes," he says, "mostly because I'd never driven an IndyCar in a race situation. In fairness, I don't think that is much of an excuse and from that perspective, and the only way to go is up. At Infineon, I will be a lot more used to the car and the circumstances." Hildebrand adds that he and the team had only limited time practicing pit stops before his first race. And during the Mid-Ohio race, he stalled the car on his first pit stop and had trouble selecting first gear on another, mistakes he doesn't plan to repeat. To many in the racing community, Hildebrand represents a welcome change. Of the 26 cars expected to start Sunday's race, only five are Americans. Names like Dario Franchitti (Scotland), Helio Castroneves (Brazil), Scott Dixon (New Zealand), Tony Kanaan (Brazil) and Dan Wheldon (England) have dominated the series for years. The only American drivers to win races in recent years are Ryan Hunter-Reay (two wins), Danica Patrick and Marco Andretti (one each). Hildebrand looks to add his name to that list. "I'm totally excited about coming to Infineon," Hildebrand says with authority. "I'm bringing a lot of confidence, because I know the place like the back of my hand and nothing will be brand-new this time. I know that if we qualify well and run a mistake-free race then we will be right in the thick of it." To see the world's greatest open-wheel racecar drivers competing at Infineon Raceway is spectacular. The carnival-like atmosphere brings ambiance, color, mystique, excitement, danger and the jet-set crowd. And now, with the local kid racing, there is a delicious slice of American apple pie. 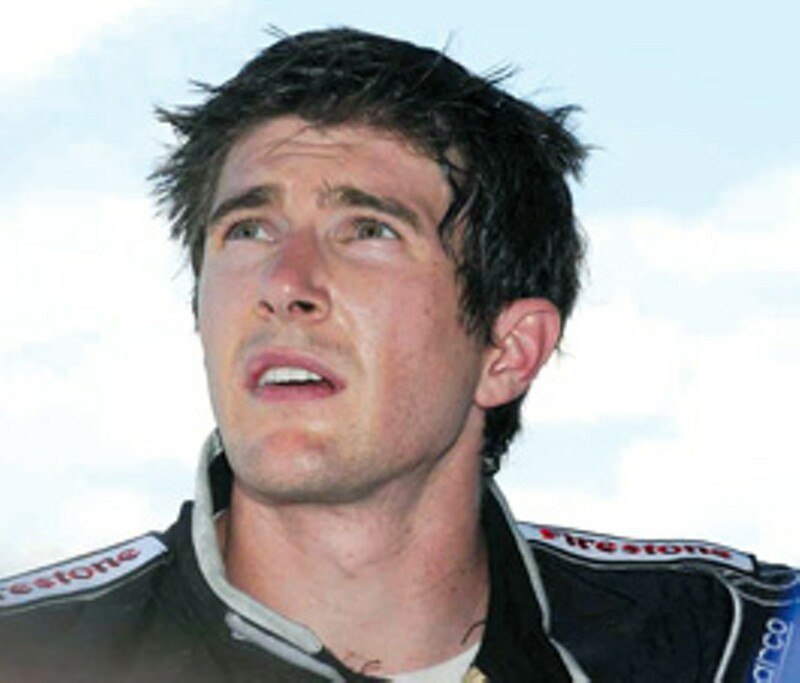 This will be the biggest race of J. R. Hildebrand's young career. You may know the names Gurney, Andretti, Rahal, Mears, Foyt and Unser. With a good showing at Infineon, Hildebrand will be one step closer to those elite American drivers. The Indy Grand Prix of Sonoma comes to Infineon Raceway Friday&–Sunday, Aug. 20&–22. Also racing will be the Firestone Indy Lights Series and Historic Grand Prix and Formula Car Challenge. Infineon, highways 37 and 121. $10&–$75. 800.870.race. www.infineonraceway.com.